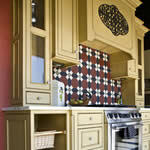 Achieve versatility in a kitchen remodel: French kitchens range from a country look to a formal chateau feeling. Either way, light infuses a French kitchen through the frequent use of light-toned cabinets, whether painted or wood. Colors alone can give your kitchen a French flavor. Cabinets can be a soft butter color against pale blue or green walls. Decorative patterned tiles and linens add texture. Create your own palette with touches of apricot or red. Country French cabinets can have relatively unadorned door frames and black door pulls. These kitchens often make use of racks and baskets for hanging pots, pans, sausages, onions and apples. 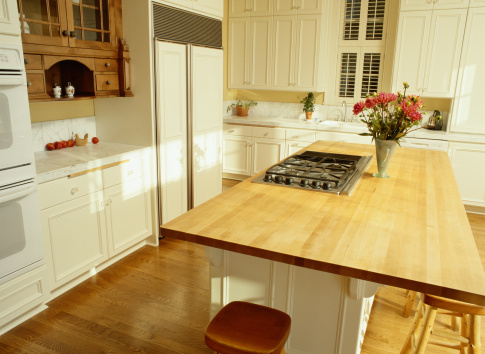 Formal French kitchens have fluted accents in the stained-wood cabinets and crown moldings. Either country or formal may have multiple panes in the cabinets or kitchen window, and perhaps an arched wood cornice over the sink. Antique kitchens are perfect for historic homes as well as for homeowners interested in a back-to-basics homey kitchen style. Learn about the types of antique-looking appliances on the market, and discover what elements make up this timeless kitchen style. Contemporary kitchens have become popular over the last decade. They feature stainless steel appliances, recessed or glass cabinets, and clean, sleek lines in general. 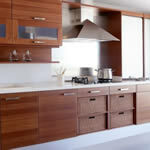 Learn more about this kitchen style and see pictures of contemporary and other kitchen styles. 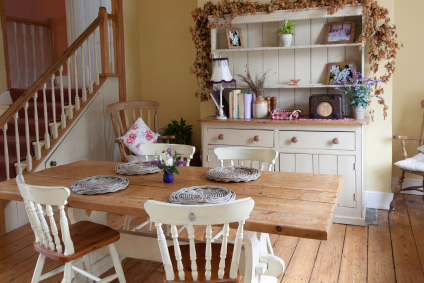 A country kitchen is a great option for homeowners interested in a warm, homey atmosphere that evokes images of Grandma canning tomatoes, and baking loaves of bread. Learn about the details that create this kitchen style, including distressed wood, beamed ceilings, and gingham or themed prints.